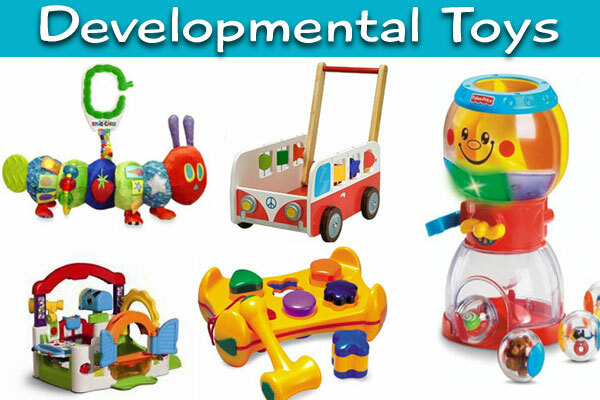 With so many options, which developmental toys are the best for helping kids learn and develop while having fun? Pediatric occupational therapists say developmental toys that focus on motor skill development, cognitive learning provide best value when it comes to kids. The American Occupational Therapy Association (AOTA) offers some tips for selecting toys that will make the most of play time. Playing is an essential activity that facilitates a child’s social, physical, and cognitive development, all while having a good time. It is often through play that children learn to make sense of the world around them. 1. Is the toy safe and age appropriate? If the suggested age range is too young for the child, he or she may get bored quickly. If the range is too old, the child may get frustrated and give up, or be exposed to small parts that could pose a safety risk. Be mindful of your own child’s development in terms of his or her strengths, interests, and abilities. 2. Can the toy be played with in more than one way? Toys that offer unlimited possibilities can tap into the child’s creativity. Blocks can be stacked, knocked down, lined up, crashed into, and even substituted for play food in a pretend kitchen. 3. Does the toy appeal to several senses? Children’s attention is captured by exciting colors, sounds, lights, and textures. Toys that encourage them to push buttons, move parts, open doors, or sort shapes will often lengthen play time. 4. Can the toy be used in more than one place or position? Toys that are easy to carry or can be used while sitting, standing, or even lying down make play possible anywhere. Crayons, markers, sidewalk chalk, a baby gym, and plastic rings can be used in a variety of locations. 5. Does the toy involve the use of both hands? Moving parts, buttons, and gears encourage activity and movement. Construction toys, craft kits, puzzles, balls, riding toys, and toss-and-catch sets all promote motor skill development at different ages. 6. Does the toy encourage thinking or solving problems? Board games and science kits offer older kids the chance to use thinking skills in a new way, while shape sorters, puzzles, or a Jack-in-the box are great for babies and toddlers. 7. Does the toy encourage communication and interaction? Dress-up clothes, costumes, playhouses, kitchen sets, and tools can all be used with more than one child to teach cooperation and negotiation and foster imagination. 8. Is the toy worth the cost? Consider the appeal of the toy and its durability. Can you substitute the toy you are considering with something that you already have at home? AOTA offers a free Checklist for Toy Shopping to help consumers purchase age-appropriate toys. To learn more about developmentally-appropriate toys and play for children, visit www.aota.org.